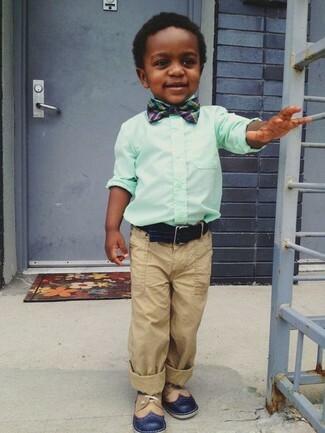 Suggest that your little guy dress in a navy blazer and tan trousers for a sharp, fashionable look. Navy boat shoes are a good choice to complete this ensemble. 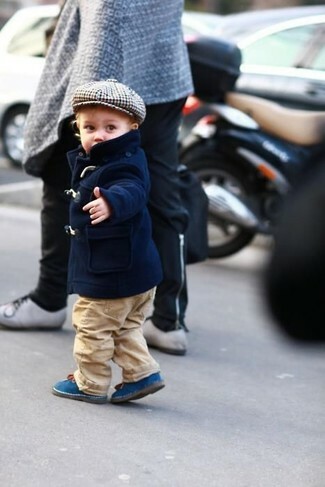 Suggest that your little angel wear a navy horizontal striped sweater and tan trousers for a dapper casual get-up. Grey sneakers are a wonderful choice to complement this ensemble. Suggest that your munchkin choose a navy jacket and Ralph Lauren babys corduroy pants for a comfortable outfit that's also put together nicely. As far as footwear is concerned, suggest that your boy opt for a pair of blue boots. 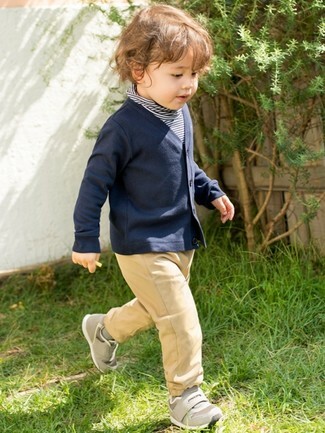 Suggest that your little one pair a black long sleeve t-shirt with tan trousers to create a smart casual look. Tobacco boots are a good choice to complete this getup. 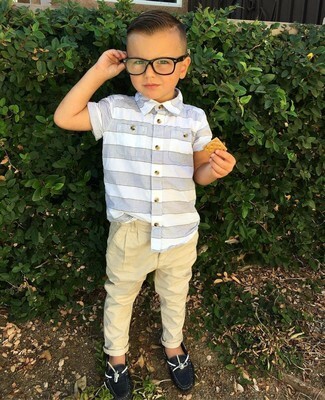 Suggest that your child dress in a white horizontal striped short sleeve shirt and Ralph Lauren babys corduroy pants to help him look like a true little gent. As far as footwear is concerned, let your little man grab a pair of black boat shoes. 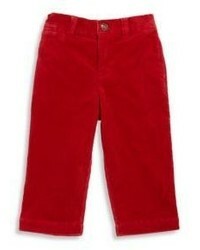 Help your little angel look fashionable by suggesting that he opt for a dark green sweater and tan trousers. Tan oxford shoes are a smart choice to complete this ensemble. 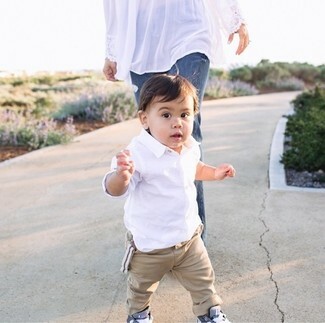 Suggest that your munchkin wear a white long sleeve shirt with Ralph Lauren babys corduroy pants from Saks Fifth Avenue for a sharp, fashionable look. This outfit is complemented well with grey sneakers. 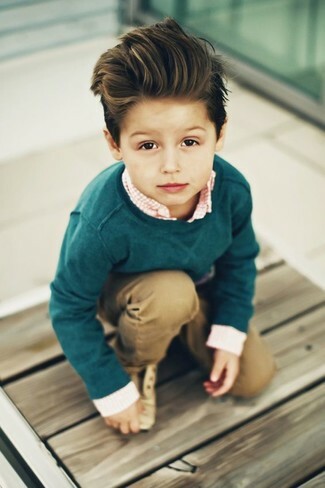 Go for an olive jacket and tan trousers for your son for a comfortable outfit that's also put together nicely. This outfit is complemented nicely with tan boots. 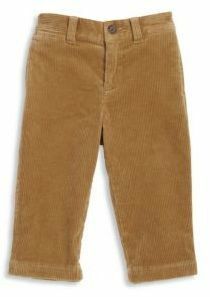 Suggest that your little man pair a mint long sleeve shirt with Ralph Lauren babys corduroy pants from Saks Fifth Avenue for a sharp, fashionable look. 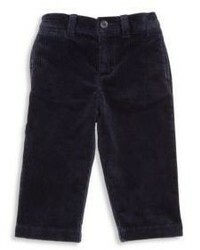 As for footwear your kid will love navy oxford shoes for this getup.